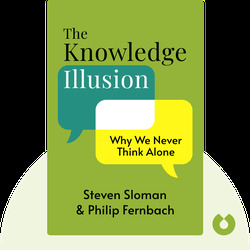 The Knowledge Illusion (2017) is an in-depth exploration of the human mind. 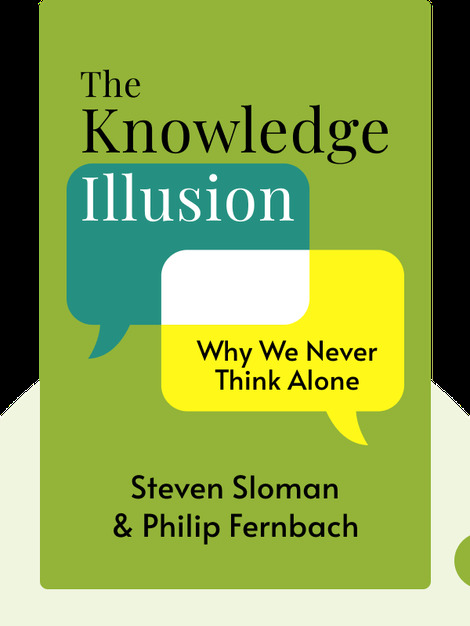 It argues against the view that intelligence is solely an individual attribute, offering compelling arguments for how our success as a species would have been impossible without a community of knowledge. Steven Sloman, a professor of cognitive linguistics, teaches at Brown University. He is also the editor of Cognition, a scientific journal dedicated to the study of cognitive science. Philip Fernbach is an assistant professor at the University of Colorado, where he teaches marketing. Their collaborative work has been featured in the New York Times, the Atlantic and Slate, among other publications.